VICTORIA, B.C. — It will be the biggest baseball on Vancouver Island, ready for fans to grab a Sharpie and sign their autographs. It’s just part of the fun that Peninsula Co-op is helping bring to HarbourCats games this season. Peninsula Co-op is pleased to team with the Victoria HarbourCats to bring a unique fan-involvement activity to Wilson’s Group Stadium at Royal Athletic Park for the 2018 West Coast League season. A five-foot-high baseball, being completed by Ultimate Foam Creations, a Victoria company specializing in unique and creative uses of foam, will be at the park all season, and fans can sign away — until the baseball is full of autographs. That’s not all Peninsula Co-op is bringing to Wilson’s Group Stadium this summer. On June 2, from noon to 1:30pm, Peninsula Co-op is sponsoring a meet-the-players event, a chance to meet the latest edition of this six-year-old franchise, get autographs, and talk baseball. The meet-greet will be held at Wilson’s Group Stadium, and will be in conjunction with a festive street fair put on by the North Park Neighbourhood Association (details on that to be announced). As previously announced, Peninsula Co-op will also present the HarbourCats facing the Victoria Special Olympics softball team that is representing BC at the Canada Special Olympic Games in August in Antigonish, NS. 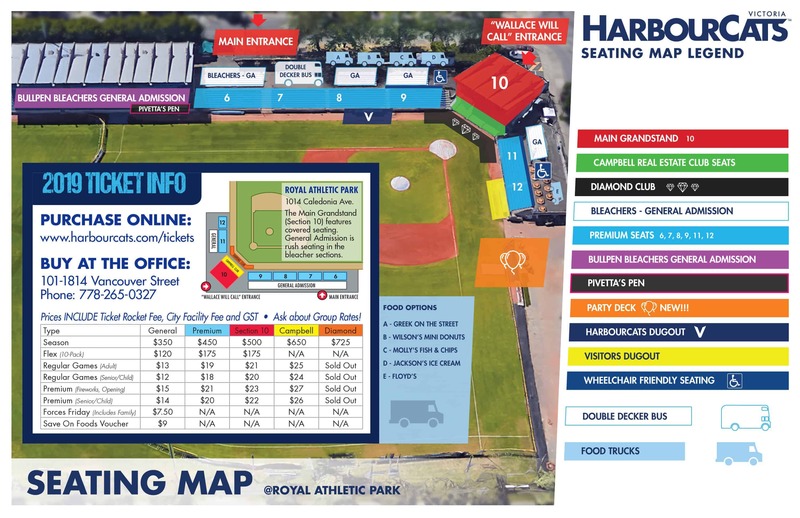 On June 9, prior to the HarbourCats facing the Coquitlam Angels, that game will be played on the field at Wilson’s Group Stadium. The game with the Special Olympics champions will start at 5:45pm. 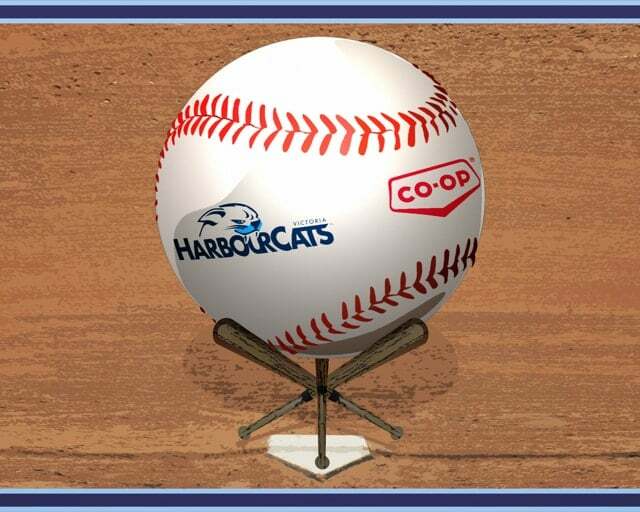 Adding to that community-game focus with Peninsula Co-op, the HarbourCats will play a game on July 5 against a Challenger (disabled but very enthusiastic!) team, prior to the team’s game with the Highline Bears from the Seattle area. The gameday sponsor of that game with the Highline Bears is Westshore U-Lock Mini-Storage. The Challenger game will start at 5:45pm. “These are all great ways for the community to get even more enjoyment out of HarbourCats baseball, to have these champions in their own right participate on the field,” said Norris-Jones. The HarbourCats are Victoria’s entry in the West Coast League (WCL), a summer, collegiate, wood bat baseball league, featuring the top college-age players from across North America and the world. One of the elite teams in the league, the HarbourCats won a record 40 games in 2016 and followed that up in 2017 as the WCL’s North Division Playoff Champions, coming one game short of their first ever WCL Championship. In 2018, their sixth season, the team will play a 54-game regular season schedule, with 27 of those games and eight additional non-league games, being played at Wilson’s Group Stadium at historic Royal Athletic Park in Victoria. Opening night is June 1, 2018 with games scheduled through mid-August. See harbourcats.com for more details. Office Hours: April office hours: MONDAY-FRIDAY – 10 am-6 pm. SATURDAY-SUNDAY – Closed (Except by appointment).